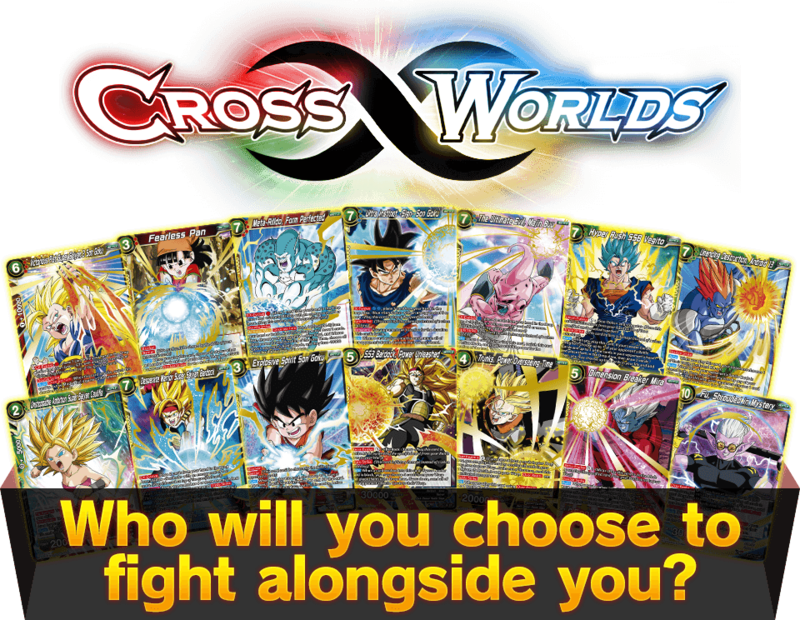 CROSS WORLDS SR Card Showdown! 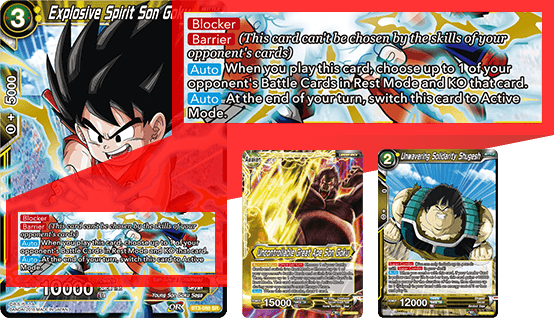 Goku returns to Active Mode after attacking, making him a powerful addition to red decks! 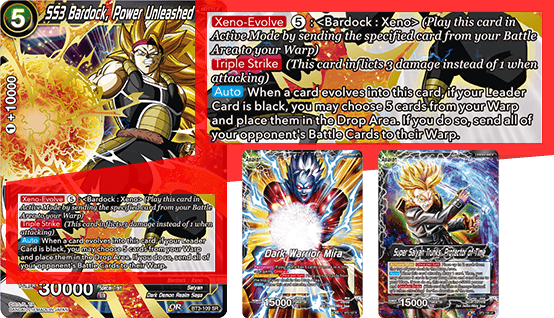 Pair him with Son Goku cards like BT3-004 to use EX-Evolve! Pan powers up your other red cards! 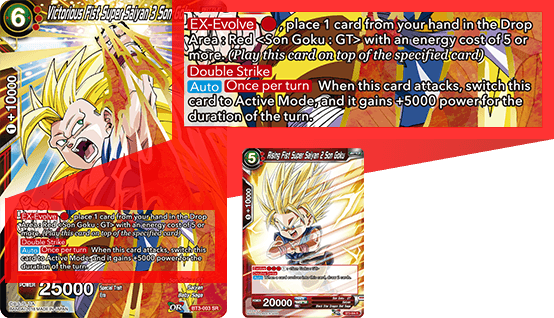 And she only gets more powerful when paired with BT2-010 Vegeta and BT2-022 Babidi! EX-Evolve into Meta-Rilldo using the red BT3-019 General Rilldo, then drain the power of your opponent’s cards, and even destroy them when they hit zero! Pair him up with cards like BT2-006 that deal damage to opponents after KO-ing Battle Cards for a devastating combination! Ultra Instinct Goku shuts down your opponents by preventing them from using combos! Use cards like BT3-035, P-022, and others to EX-Evolve him into play! 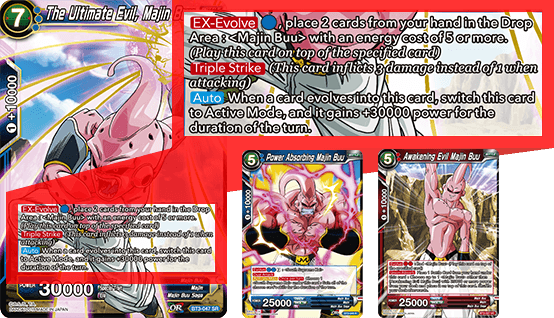 Evolve Kid Buu into play, and he switches back to Active Mode and gets a huge power boost! And since he has Triple Strike by default, he’s the perfect finisher for Majin Buu decks! Pair him up with BT3-049 and BT2-027 to get him into play, then end the game! 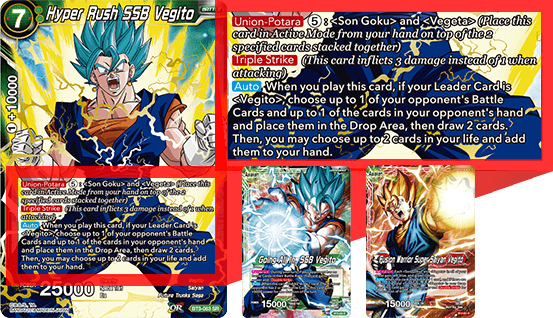 Vegito decks just got a huge power up! 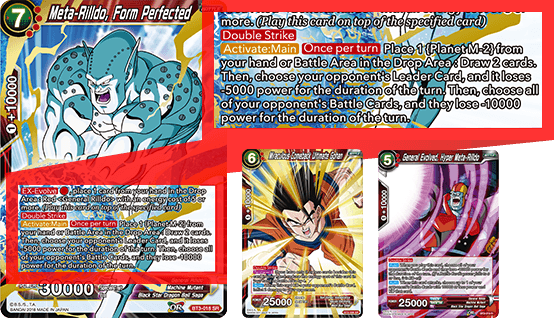 Hyper Rush SSB Vegito is the perfect fit for decks using leaders like BT3-055 and BT2-001! Also featured in the green card showcase, Android 13 is a powerful combo card! Use the skills on cards like BT3-117 to force your opponent to discard! 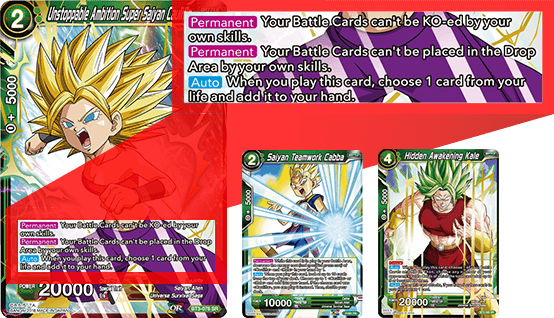 Caulifla prevents you from losing cards to your own skills! Pair her up with Cabba from the Super Dash Pack and BT2-095 Kale to get the most out of this powerful skill! Play Bardock with EX-Evolve, and you can effectively shut down your opponent’s entire board! Playing BT3-085 Striker Bardock and using BT3-092 Absolute Defense Great Ape Vegeta to defend is key! 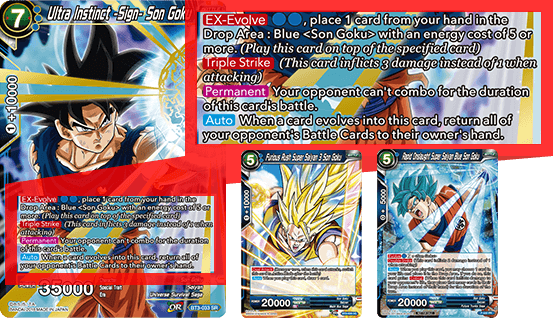 Kid Goku excels on both offense and defense, protecting you from threats while obliterating your opponent’s Battle Cards! 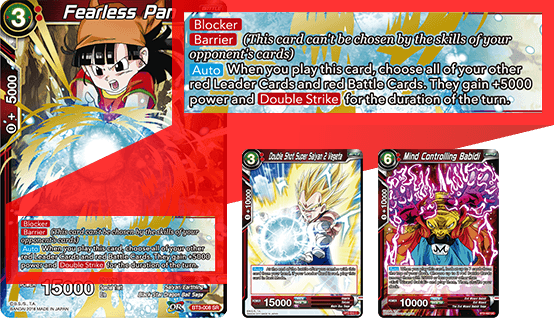 He also plays well with the BT3-083 Great Ape Son Goku leader and BT3-100 Super Combo cards! 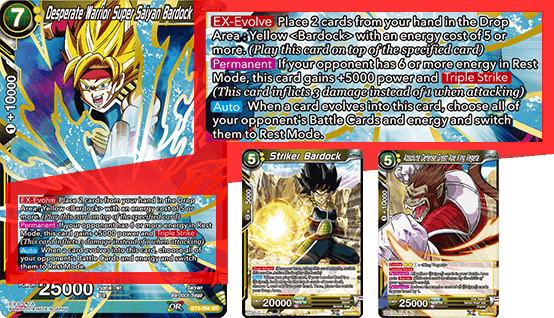 Triple Strike alone makes this card powerful, but Bardock only gets stronger when played with Xeno-Evolve! Just remember that you need a Black Leader to make use of it. 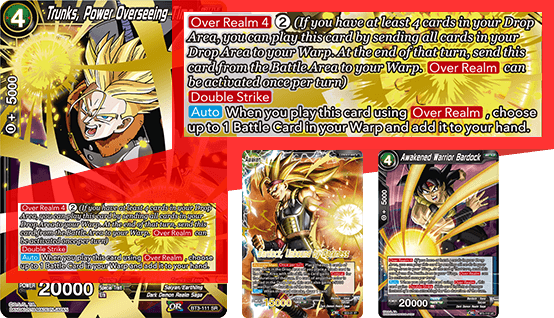 Use SD03-01’s Bardock leader card to fill up your Drop Area, then use BT3-110 Bardock’s Over Realm to end the game! A powerful card you can get out early with Over Realm! 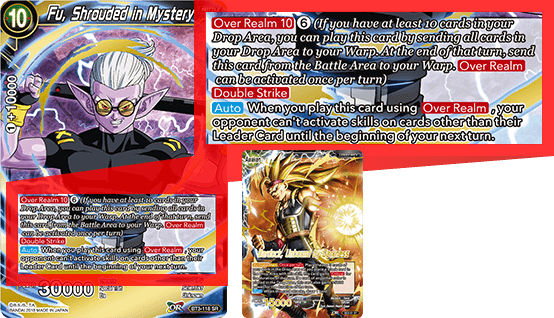 And since black leaders tend to dump cards in the Warp, Trunks’ skill offers a consistent way to return them to your hand! A powerful card that can send both your opponent’s Battle Cards and Energy Cards to their Warp! 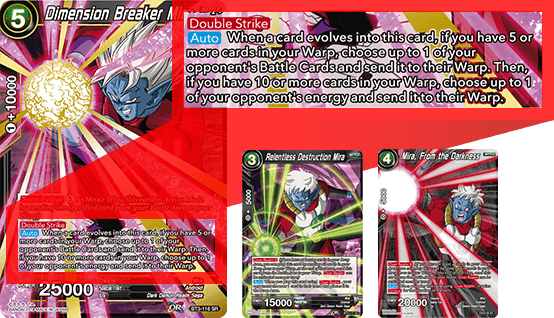 Play BT3-117 and EX02-05 using Over Realm, then end the game by EX-Evolving into Dimension Breaker Mira! Play Fu using Over Realm, and your opponent can’t activate skills for their next turn! 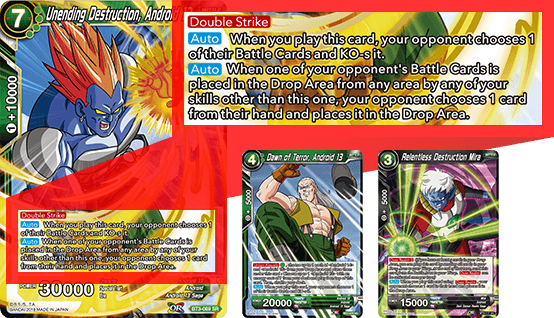 Use SD03-01 Bardock’s leader skill to put three cards in your Drop Area each turn, and you’re practically guaranteed to get Fu on the table!